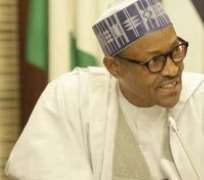 President Muhammadu Buhari has said that the wind of defections hitting hard on the All Progressives Congress is God’s way of fishing out bad eggs. The chairman of the embattled party Mr Adams Oshiomhole was first to pursue that theme when he said that the decampees were big names without electoral value. The President who spoke at the commencement of the campaign rally for the Bauchi South Senatorial District bye-election, assured APC supporters in Bauchi State that his administration would continue to work hard to surpass its campaign promises for a better Nigeria. “God will continue to fish out the bad eggs among us,” he said as he urged the supporters not to be perturbed by the recent defections in the party. The even t also served as the formal presentation of APC candidate Hon. Gumau Lawal Yahaya for the August 11 poll. “The work we are doing is because of God, our country and you. I want to inform you that the knowledge we have garnered over the years, we won't allow you to be cheated. ''Like we promised, what will determine a good future for the country are security, strong economy and to stop corruption. “We campaigned on these things, you voted for us and we will never forget,” the President said at the Abubakar Tafawa Balewa Stadium, Bauchi. He, therefore, urged the people of Bauchi South senatorial district to vote Hon. Yahaya in the upcoming election. The President also thanked the people of Bauchi for defying the heavy rainfall and coming out en masse to welcome him and show solidarity to the party's candidate in the senatorial election.